Mobidea is the best platform for you to make it rain so check this post and understand how to explore our awesome network! Sometimes, even the most user-friendly interface can cause trouble. 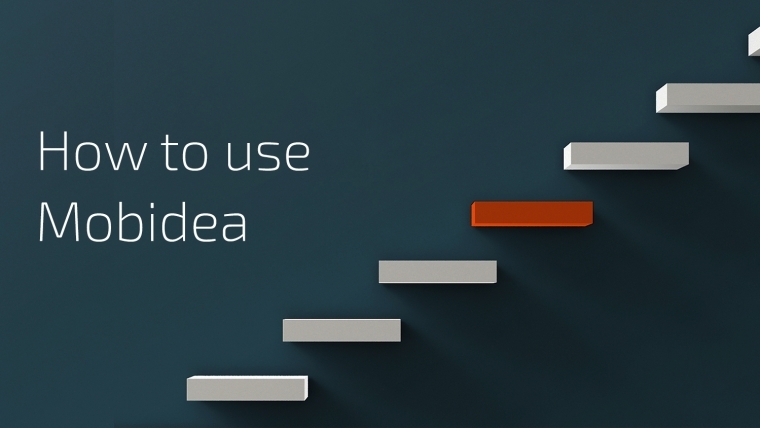 That’s why it’s important to get to know all Mobidea’s undiscovered tips and functionalities as soon as possible. Whether you define yourself as a long-term expert, part-time user or simply a newbie, this post is for you. You have either the Tutorial video or the written article below to get to know the main sections and tools you can find while making it rain on Mobidea! Once you’re logged into Mobidea you’ll find yourself on the account’s overview section – the dashboard. It displays essential information about your account and your revenues while also keeping you updated with all the fresh Mobidea news. 1 – Your current balance. 2 – The number of signups for the current month and the percentage comparing this number of signups with the number of signups from the same period of the past month. 3 – Your current monthly revenue and the percentage comparing this revenue with the one from the same period of the past month. 4 – Opportunities section. Here you can find the current opportunity segments, their eCPMs and the volumes for both Smartlink and Single Offers. Use the filter on the right and choose if you want to check the best choice for either countries or carriers. 5 – News feed: all the events, tips, articles, updates and much more in one place. 6 – The main menu. Here you can find reports, tools, account settings, etc. Now let’s take a closer look at the Mobidea’s menu tabs, analyzing one by one. Keep an eye on your results by using the reports data. 1 – Choose the period for which you want to analyse your data. 2 – Use the options to visualize the trend by visits, signups, revenues, ratio or eCPM. 3 – Use the tabs to see the results according to the rule and use the filter to target your campaigns’ features. Click on the selected Smartlink if you wish to check the data coming only from a specific link. The Smart tools section happens to be the second most important place to visit, right after reports. It has everything you need to start working. Choose the verticals you want and select the advertising methods you need by exploring the features. Don’t forget about the referral link. Here, you can create a new Smartlink and check the ones you’ve already made. You can also change the track1 and track2 that will later appear on your stats. 2 – APK, Auto downloads and Back offers – check your traffic sources and feel free to enable or disable options according to the requirements. Always remember you’ve gotta play by the rules – you’ll be reminded of their importance every time you change the settings. One of the advertising spots Mobidea allows you to integrate in your website. It opens a new browser window, hidden under the active window. c) set the Frequency Capping (limits the number of times the popunder is going to appear to the same user). Once it’s done, you can copy the code below. This type of ad covers your site with a semi-transparent background. Visitors must “close” the ad to fully view the site. Unlike pop ads, overlays can’t be blocked. The steps to implement it are just the same as for previous ads. Mobidea provides three types of iframes (according to the size of our banner) that you want to implement on your side: 300×250, 300×100 and 305×99. Just choose for which Smartlink you’re going to use them and copy the code. Bear in mind that – if there’s any size that’s not supported by us and you’d like to use your own creative – you can simply use the banner you’ve got and link it with our Smartlink on your website. It’s that easy! Redirect is a technique for making a web page available on more than one URL address. It will redirect the traffic to the offer. No matter which method you choose, you’ve gotta pick the right Smartlink for each one of them. You’ll also have to select the traffic type you’d like to redirect (all, all mobile, or only mobile operator traffic). As always, don’t forget to copy the code! This section allows you to keep an eye on the opportunities you can’t miss if you’ve got that sweet cash on your mind! 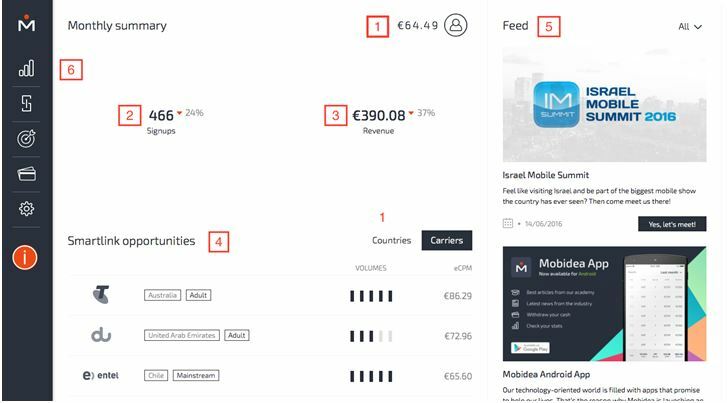 Select the tab of countries in order to see general volumes, ratio and eCPM by country, or choose the Carriers tab to see the info by carriers. Once you spot the gold mine, just go for it! It’ll automatically redirect you to your own Smartlink for you just to copy it and start earning big! As always, on Mobidea, we think about our affiliates and their needs. That’s why we’ve launched the Single Offers option, making sure you’ve got a whole new world of opportunities to make money! After this life-changing implementation, we gave you the possibility to specifically select the best offer you wanna promote, the info about its payout and performance, the banners you can use to promote it in a way that’s compliant with all the rules, and the same advanced settings as on the Smartlink section. For a better and faster experience, use the filter and narrow your target. Click the top payout, top eCPM or added date to set an order. If you already know the ID or any keyword of the offer you can just use our search box to find it. Once you spot the perfect offer for you, check its details by clicking on the icon. 1 – General – gives you the basic details about the offer i.e. the segments it covers and its payouts, as well as the flow. 2 – Restrictions – click here to check the traffic restrictions and make sure you’ll be able and allowed to promote the offer. 3 – Screen shots – not sure if it’s the one you want? Check the screen shots to have an idea what the user’s going to see. We give you all the knowledge for you to make a better-adapted promotion. It may seem obvious, but this part of the platform allows you to manage your revenues. You can withdraw your money by bank or wire transfer but you can also send the money to another Mobidea account in no time! 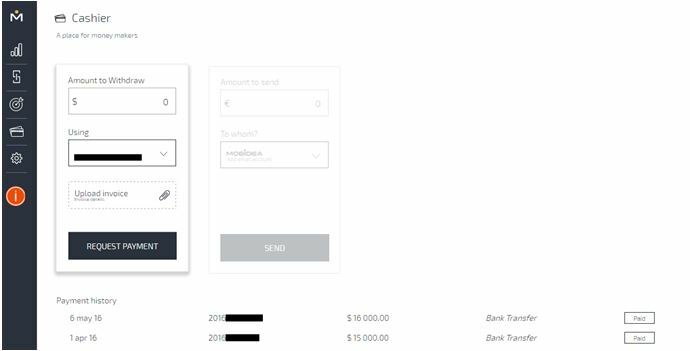 Just choose the option you’re about to use, provide the payment details, and request payment or send the money to another Mobidea user. The request date, invoice and payment status will automatically appear below. We make e-payments every week days and bank transfers in a maximum of 7 days. We’re faster than any other in town! We know how important cash flow is for you! This part lets you know all the basic info about your Mobidea’s account, API statistics and Global Postback (to set when you’ll use the same Postback for any Smartlinks and offer links you’re going to promote). Please take all the time you need to correctly fill your information. By doing this, we’ll be able to deliver a service that’s gonna be up to your standards! You’ll always find our contact info on the bottom of the left menu tab. Check Mobidea’s FAQ or simply write us a message. I hope I’ve made the design of our platform clear. I’m sure that this article has helped you find new features that are gonna boost your revenues! Soon enough, you’ll become a VIP affiliate, popping champagne and making that sultry gold! Now you know how to explore Mobidea!